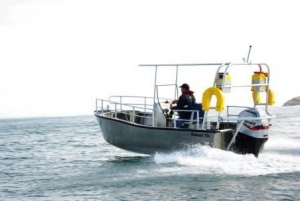 At Robust Boats we take pride in designing & building quality aluminium work, fishing boats and landing crafts. I am so thrilled with our Robust 19 – and so is the whole family. She is so solidly build and handles really well in choppy Hebridean sea. 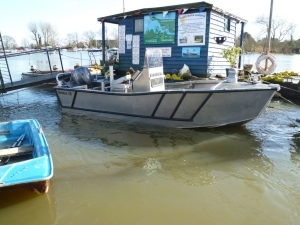 Perfect for potting, fishing, wildlife watching and island hopping. Steve’s service was outstanding throughout with loads of helpful advice on getting the spec just right for our family use. So everything is spot on. It’s just so great to have such a safe and functional boat under our feet. The Robust 17c hull continues to be an exceptional platform for moorings maintenance and the Yamaha 70hp outboard an excellent performer. 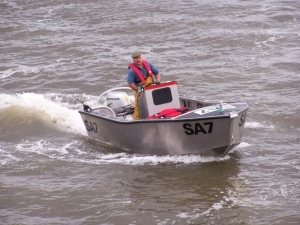 As Christchurch Harbour is shallow and dries out at low tide, the shallow draught of the hull combined with the jack plate to lift the outboard make access very easy. The hull is so good that we have recently managed to break the gearbox in the bow mounted capstan. We have been able to pull weights greater than the 190kgs limit of the capstan as the hull is a very stable platform. 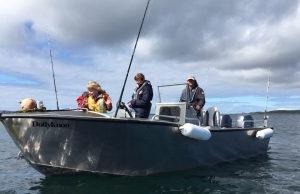 I needed a safe stable workboat for line fishing off Gower which was easy to launch and recover from Mumbles. After much discussion and thought I now own a custom made 17c fit for purpose. Quality of service and workmanship second to none. Heartily recommended. 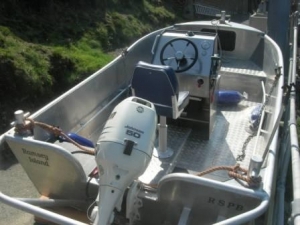 The new boat has surpassed our expectations tenfold with many admiring glances and enquires as to where she was built. When considering a harbour workboat the local ‘worthies’ of which there are many in number tried to convince me to purchase a Pioneer Multi. and I am so glad that I followed my instincts after meeting with you at Sea work 2009. Even the so called ‘local experts’ agree that we have an ideal tool for the harbour which will easily fulfil all duties with a strong emphasis on safety. 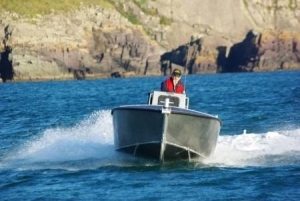 We are in the process of organising powerboat training for the harbour employees and the RYA has agreed to use our boat in harbour waters which is an ideal situation for us. Once again many thanks for supplying such an excellent craft and being such a pleasure to deal with, I will recommend your services far and wide at every opportunity. ample storage space & sealed buoyancy give that extra bit of confidence.